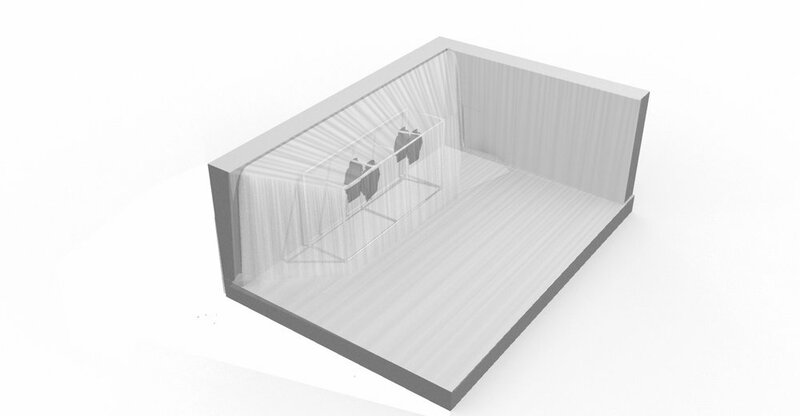 The concept of the installation was to create a symmetrical 'extension' of the walls in the 13'x13' space that would double as a clothing rack for product to hang from. As one approaches the structure they see the silhouette of the garment from behind the plastic but can't see it in detail due to the nature of the material. One must peel back the plastic sheeting to reveal the clothing hanging from a rack created from pluming pipes. 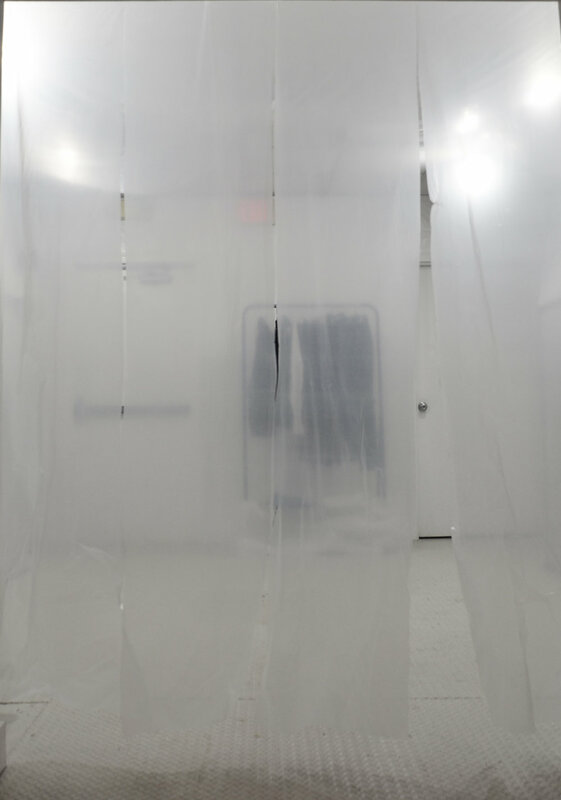 The installation embodies ideas of creating a framework for the viewer to see the clothing, a wall that extends at the viewer, a sense of ambiguity due to the translucency of the plastic, and lastly a permeable wall that houses the clothing pieces.